Long Bay Golf in Longs, South Carolina is a Jack Nicklaus Signature design course and has some unique characteristics for Myrtle Beach golf courses. Located just a few minutes from Myrtle Beach and North Myrtle Beach, Long Bay’s convenient location make it a favorite for locals and tourists alike. Nicklaus and Co. used their many years of experience to blend the West Coast with the East Coast to create this masterpiece. Using the beautiful natural environment they left existing dogwoods, Carolina pines and maple trees for future generations to enjoy. Pristine natural creeks wind throughout the course giving it a wildlife preserve feeling. Long Bay offers a challenge as the lush fairways wind through natural areas, large waste bunkers, man-made mounding and many pot bunkers. Driving the ball is important at Long Bay to ensure that you have reasonable approach shot into the well bunkered, demanding greens. Long Bay is always ranked as one of the top South Carolina golf courses for not only its challenge, but its beauty as well. Long Bay can be included with any Myrtle Beach golf package and any of the other outstanding Myrtle Beach championship golf courses. Myrtle Beach golf packages can offer the best in Myrtle Beach accommodations, Myrtle Beach golf discounts, Myrtle Beach golf lessons and much more. 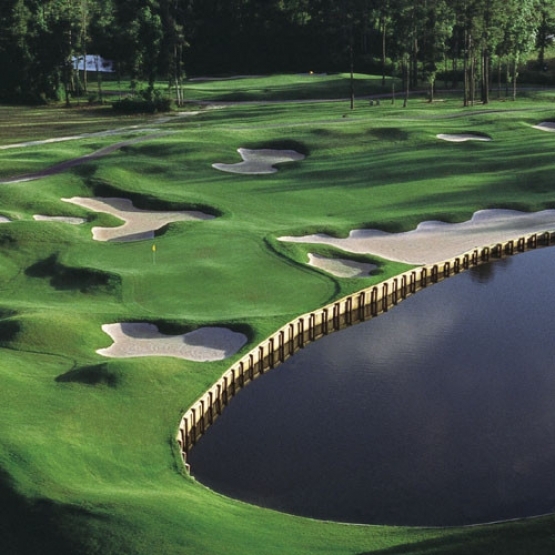 If you are looking for Myrtle Beach savings a Myrtle Beach golf package just might be for you. While visiting Myrtle Beach don’t miss out on any of the outstanding Myrtle Beach attractions. Your South Carolina vacation would not be complete without a visit to the Grand Strand. Book your Myrtle Beach golf package today!